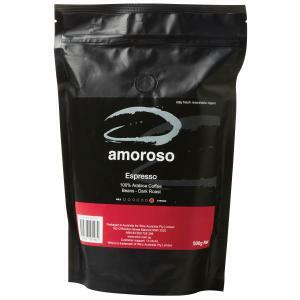 Amoroso Coffee Espresso beans are packaged in handy sized 500g resealable, foil-coated plastic packs to lock in freshness. Ideal for all levels of espresso machines, including the small to medium sized office machine to large, 2 and 4 group machines. Exclusive to Staples™. Also available in a 500g ground coffee pack.